Louise Hermida, 75, was killed by her family dog and her son was also injured in the attack, police said. 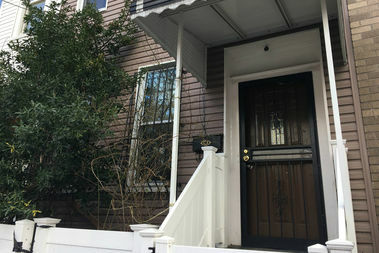 QUEENS — A 75-year-old woman was mauled to death Monday by her family mastiff, which also bit her son in their Astoria home, NYPD officials said. Louise Hermida was attacked in her 27th Street home, near 38th Avenue, about 1 a.m., police said. Her 39-year-old son, whose name was not immediately released, was also attacked, but managed to escape to a neighbors' to get help. "Her son comes knocking on my door telling me, 'My mother's calling you, she says she's dying, the dog just attacked her.' I came and I was like, 'What do you mean shes dying?'" said Rosa Ortiz, 36, who lives next door. She said she called 911 and then entered Hermida's home, where she found the injured woman laying on the floor in the basement. She could hear the dog barking from another area of the house at the time, she added. "She had blood all over her. It was really bad," said Ortiz, who said the victim was still conscious and speaking as they waited for an ambulance. Hermida was pronounced dead at New York-Presbyterian/Weill Cornell Medical Center, police said. The Medical Examiner will determine her cause of death, police said. "She was a good woman," Ortiz said. "She was a dog lover. She really loved her animals." Her son was treated for injuries to his left leg at the same hospital, where he was listed in stable condition, police said. The family adopted the dog nearly six years ago from Animal Care and Control when it was about a year old, a spokeswoman for ACC said. After the attack, the dog was taken to Animal Care and Control's 110th Street facility, but the agency declined to comment on its fate, citing legal reasons. Ortiz said the family owned several dogs. She believes the mastiff belonged to Hermida's son, and that it had attacked another small dog on the street about two weeks ago. "He was a vicious dog," she said. Nick Siderias, who works at a cafe on the same block, said he would often see Hermida's son walking the mastiff. The dog was large — he estimates it weighs more than 100 pounds — but always seemed friendly, he said.